Drinks cans, ATMs, escalators: How dirty and germ filled are the things we touch everyday? 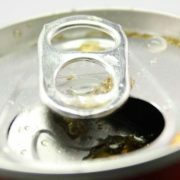 THE fizzy drink can, which many of us happily wrap our lips around every day, could be harbouring more germs than a toilet seat. News.com.au undertook a series of cleanliness tests to check the amount of organic matter and bacteria, which could include dangerous bugs such as salmonella and E.coli, on the things we touch everyday outside the home. E.coli, commonly found in the intestine, can indicate the presence of faeces and is a cause of food poisoning. The results showed that the items we come into contact with on the daily commute — including grab handles on trains and buses, road crossing buttons, ATM keypads and bathroom doors, are so filthy that if the surfaces were in a supermarket or hospital they would likely be shut down by a health inspector until they were deep cleaned. Some surfaces were 10 times dirtier than the highest recommended levels of cleanliness. The tests were conducted by sanitation and hygiene management company EarthEcco and look for adenosine triphosphate, an enzyme in all living cells that can be used to measure hygiene levels. https://earthecco.com/wp-content/uploads/drink-can.jpg 366 650 EARTHECCO https://earthecco.com/wp-content/uploads/earthecco-logo.jpg EARTHECCO2016-05-03 13:19:272016-08-18 10:14:12Drinks cans, ATMs, escalators: How dirty and germ filled are the things we touch everyday? WHEN a professional germ buster offered to sweep the news.com.au office for pathogens, I’ll admit I was pretty nervous. Like many journos, I have been known to eat at my desk while typing frantically, and I’m aware that this is not the most hygienic of practices. 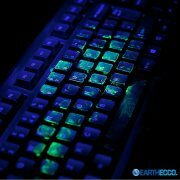 I’d like to say I give my keyboard a regular scrub with antibacterial wipes, but in reality it’s about once a month. But curiosity got the better of me, so I accepted EarthEcco cleaning company founder Jake Tyson’s offer to give his fancy germ-detecting machine an official tour. 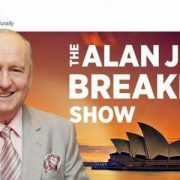 Who would have the filthiest desk at news.com.au? Would it be one of our burger-loving reporters, a member of the product team or a well-manicured sales exec? In order to make the challenge as fair as possible — and ensure my colleagues didn’t cheat by doing some last minute spring cleaning — I put up a bottle of wine as the prize for the dirtiest workspace. 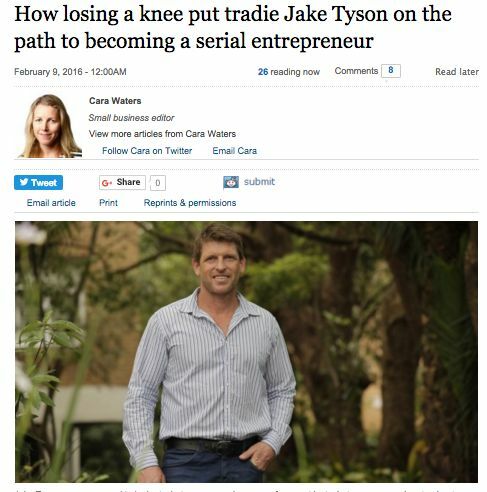 It was enough to give Tyson a chance to reassess where he was and investigate different business ideas. He decided to focus on “anything to do with commodities”. “It’s one thing to be passionate about what you are doing but it’s another to make money from it,” Tyson says. In the United States Tyson went to a food processing plant with a friend and was intrigued to see the employees “suiting up as if they were about to walk on the moon” when it was time to clean up at the end of the day. 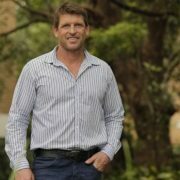 “I found it hard to believe that the harsh chemicals they cleaned the plant with didn’t make their way into the meat,” Tyson says. 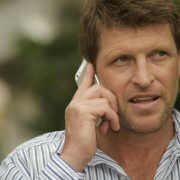 Tyson spent close to $2 million formulating a non-cancer causing antibacterial spray called EarthEcco. 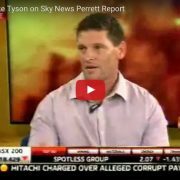 Tyson signed a partnership deal with multinational company Bunzl which he describes as “the smartest move I ever made”. Bunzl now orders, stocks and delivers EarthEcco to its customers while Tyson focuses on marketing the product. Having set about disrupting the food safety industry Tyson is now targeting the childcare and medical industry. He plans to roll the product out to the United Kingdom at the end of the year and eventually to head back to the United States. EarthEcco already has a revenue of $1 million and Tyson says in two years time he expects turnover to be more than $50 million as the business expands. “Yes it’s fast, but I’ve done it before and I’ll do it again,” he says. 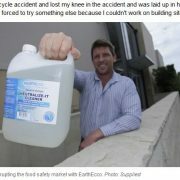 A serious motor bike accident set Jake Tyson on the path from tradie to entrepreneur and he’s now looking to disrupt the food and healthcare industry with his second business EarthEcco. Tyson says he was already questioning whether life as a carpenter was for him when fate intervened.